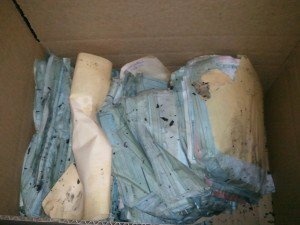 When disaster strikes important documents are often exposed to fire and	or water damage. From Law Firms and Banks to Medical institutions and	Personal Records and documents of antiquity, our experts have assisted	in the restoration and future protection of highly sensitive documents. It is important to begin the restoration process quickly in order to attain	the highest level of restoration.Our specially trained professionals utilize	the procedure of freezing within 48 hours to minimize damage which results	in more successful restoration once the crisis has been stabilized. If you have been looking for a professional and affordable document restoration	company we urge you to	contact us. Our team is standing by ready to answer any questions you may have or	to set up a complimentary consultation today. Call (631) 909-1412.